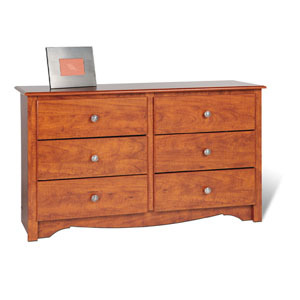 Monterey And Sonoma Collection Condo Sized 6-Drawer Dresser. It Features Six Spacious Drawers That Run On Smooth, All-Metal Roller Glides With Built-In Safety Stops. Other Highlights Include A Profiled Top, Side Moldings And An Arched Kick Plate. Strong Construction. Easy To Assemble.